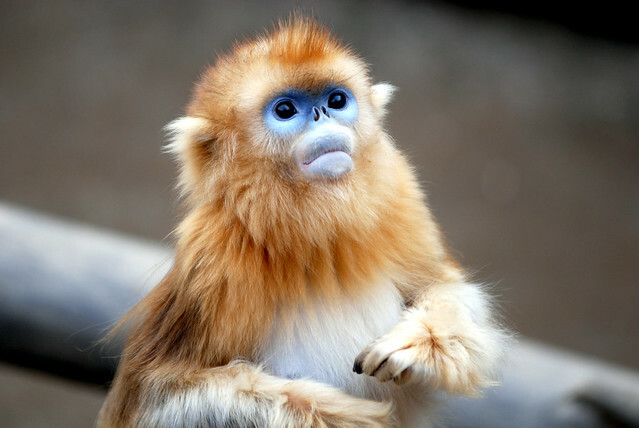 Let me preface this post by stating how much I dislike monkeys. Seriously, I just don’t trust the little buggers. I also find quite a few of them to be quite ugly. Apes too. And chimps… What is the difference anyway? I never found out, not like it matters much to me, I dislike them all the same. What was this post supposed to be again? 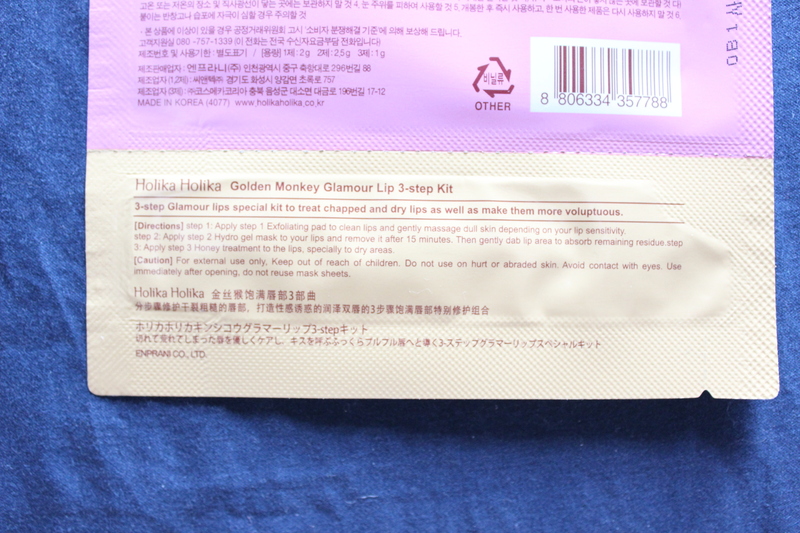 Oh yeah, the Golden Monkey Glamour Lip 3-Step Kit! This products says it treats chapped and dry lips as well as making them more voluptuous. Let’s see about that! The English directions are on the very bottom pouch. Overall, while the 3-step system seems like a cool idea, it didn’t really give my lips much “volume” nor did it do much to smooth it out. The first step kind of hurts if you’re too rough with the sheet. And I would recommend washing your lips after since the specks that rub off like to stick with you. The mask is alright but doesn’t feel like it did much. The last step smells just a bit like honey but it acts like any old lip gloss. If you want to give it a try I would say go ahead, 3-step kits are always fun to try! But don’t expect amazing results from this. It’s more of a gimmick than anything else.